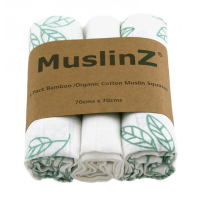 These luxurious 70% bamboo / 30% organic cotton muslin squares are wonderfully soft, light, absorbent and breathable, yet robust for practical use and washing. 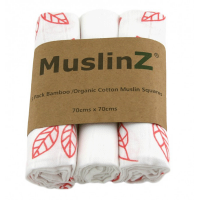 The qualities of bamboo with the added strength of organic cotton make these muslin squares are a must have for every new baby. 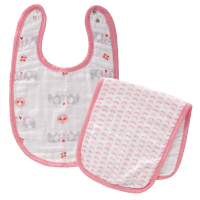 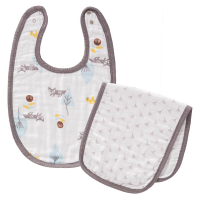 They come in handy for mopping up spills, protecting your clothes when feeding or burping your baby, wiping delicate skin or even as a comforter. 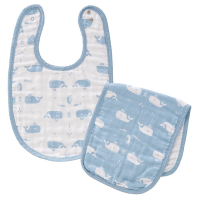 Perfect as a Baby Shower gift and to put in the hospital bag. 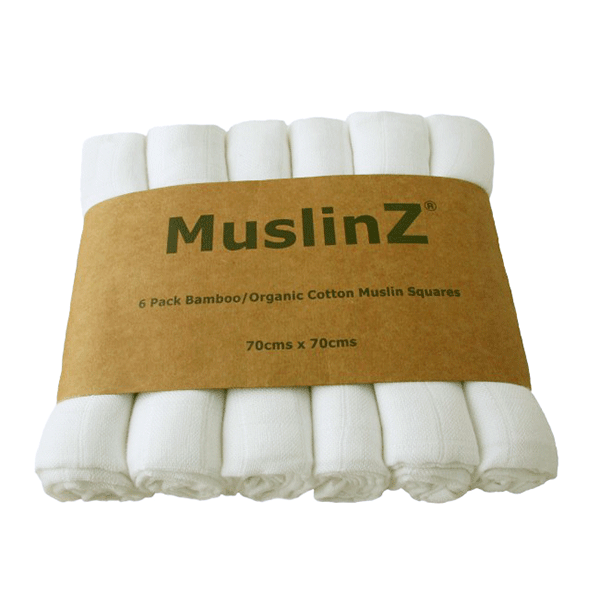 Plain white muslins, rolled and presented in a six pack. 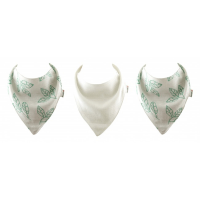 Co-ordinates with the neckerchief style MuslinZ Dribble Bibs.